Although you might believe that you are capable of handling any issues associated with your insurance company after a serious car accident, there are many ways that you may wish to rely on a personal injury lawyer instead. Car accidents can go from relatively minor to very complex issues quickly, depending on the nature of your accident. Having a personal injury lawyer in Boca Raton who helps you navigate this process can help to illuminate issues and address some of your concerns sooner rather than later. Read on to learn more about five ways that a personal injury lawyer can help you when it comes to dealing with your insurance company after an accident. You’ll realize that your personal injury lawyer in Boca Raton plays several important roles after a serious accident. After a car accident, you may feel like you are in a daze and it may be difficult for you to determine the next steps. Having a personal injury lawyer notify your insurance company can ensure that this gets done in a prompt manner and correctly—without putting additional stress on you. Even handling this important first step can take some pressure off of you so that the company can begin analyzing your claim. Although your insurance company will likely launch an investigation of their own, your personal injury lawyer can assist the situation by gathering potential evidence and interviewing witnesses. Working together with the insurance company can make this easier on you and take this off of your plate during a time that you should be focused on recovery from your injuries. 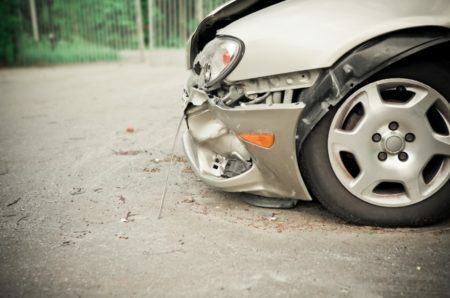 Most people assume that their insurance company is in their corner when it comes to an accident, but the insurance company may not properly value your claim. This could be very detrimental to you as funds you could be counting on to recover from the accident could be jeopardized by an improper claim. Your personal injury attorney can look at all of the possible issues and help determine what your claim is worth. Having a personal injury lawyer in Boca Raton help you with the formal letter of demand can be critical as it is likely that you have no experience doing this. Not having the necessary experience can put you at a disadvantage and make you feel uncomfortable about this process. But having an experienced attorney who is familiar with the terminology and procedures of the insurance company can make this much easier. Make sure you consult with an experienced personal injury attorney sooner rather than later to get the help that you need. Your personal injury lawyer can also play a critical role in negotiating a settlement for you. You might believe that you can handle this on your own – until you engage in the process and realize that your attorney has more experience than you. You don’t need any additional stress to worry about during this time and should be instead focused on the best way to recover from your injuries. Having a personal injury lawyer help you at the start can make this process easier for you and ensure that working with the insurance company is a smoother process. Having someone handle these details also makes it easier as many people find these procedures confusing. Many folks are overwhelmed in the aftermath of a car accident, trying to piece their life back together. It’s beneficial to have someone else helping you with these critical pieces of the puzzle so that you can instead focus on your own medical care. Having someone else assisting you along the way ensures you don’t miss out on these items, either.